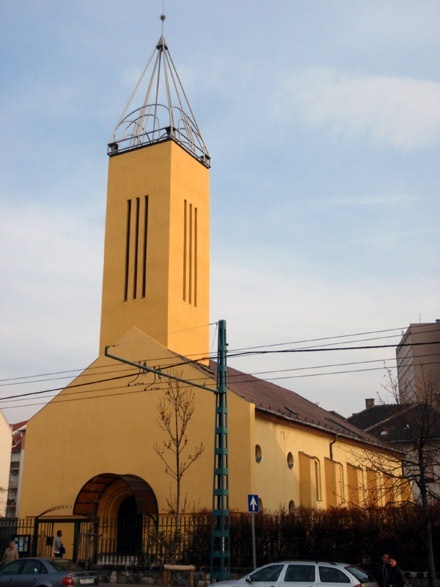 Links with our twin church Zuglo church in Budapest, Hungary continue to develop. Plans are now under way for a group of approximately 20 of our adult members to visit Zuglo, from 8th - 13th October where we hope to formalise our twinning with the signing of a twinning agreement between the two churches. Plans are also afoot for a small group of youths to visit Hungary to participate in Zuglo church's family summer camp in July where they will have a chance to meet with other youths and join in fellowship there. Our latest letter from Budapest explains that Zuglo church takes part in World Prayer week, the 3rd week in January. This means different services take place every night of the week in a church of a different denomination and are taken by a guest pastor. The closing service was held in the Catholic church and all 4 pastors take part in the service. each church's choir also sings and this year they also did a joint piece which they hope to continue next year. What a great example of different churches working together! We also hear that repairs to the church roof are still ongoing and that the board have approved last year's accounts and set this year's budget (so our churches are not so very different, so it seems...). Please remember to keep our friends at Zuglo church in your prayers.